One of the most eagerly anticipated moments of the year is almost upon us: the return of the Car Mechanic Simulator series of video games. 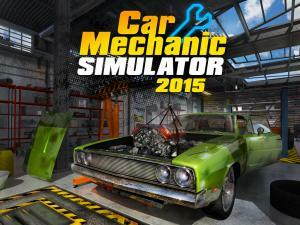 Car Mechanic Simulator 2015, created by Red Dot Games, is currently in the pipeline following the success of earlier iterations. It aims to provide insight into the world of repairing cars, from performing regular maintenance services through to taking an old washed up motor and transforming it into a shiny new supercar. Some aspects of realism are overlooked, however, including the mechanic's need to obtain a road risks insurance policy so they can drive the vehicles they are repairing, or even a combined motor trade insurance policy to protect the cars they have on site against damage or theft. But in the gaming world such oversights can forgivably be brushed over. It is rare that a car-based video game focuses on performing off the track rather than on it but that is the niche that Car Mechanic Simulator has carved out for itself. Everything from buying the right tools, performing repair works and then watching the vehicles sell is included within the game, Red Dot Games' CEO Dariusz Ruman says. The gamer also has to balance their work load, ensuring they do not take on too many big jobs and therefore end up with a long queue of disgruntled motorists at their virtual front door. Car Mechanic Simulator 2015 is 75 per cent complete thanks to funds raised via a Kickstarter campaign and it is due to be released this summer.